Everything you saved in 1Password can be imported into Dashlane: Logins, IDs, Secure Notes, Credit cards, Passports, Profiles, Emails, Software Licenses, etc. Note: when following this process, if you are told that Dashlane could not find any passwords to import, please contact our support team! Choose a location and file name for the 1pif file. 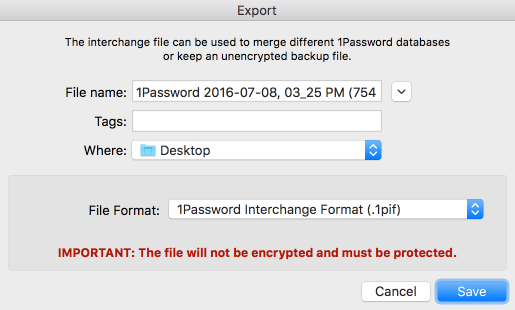 File → Import → 1Password. Click Import on the next window. Then select the 1pif file that you exported your 1Password and click Open. The import window will open and enable you to select the passwords to import. Iif needed, click on the lock icon to reveal each password and review it. If a password does not look right, you probably do not want to import it. In that case, uncheck the box at the start of the row and that password will not be imported. When you are done, click Import to confirm. Note: you won't see your other items in this window (e.g., your credit cards, notes, IDs) but they will still import into Dashlane once you click on Import​. 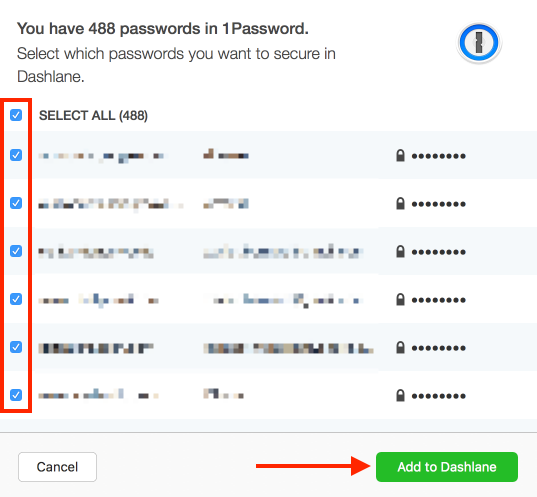 If an item does not match any of the sections in Dashlane, it will be saved by default in the Secure Notes. 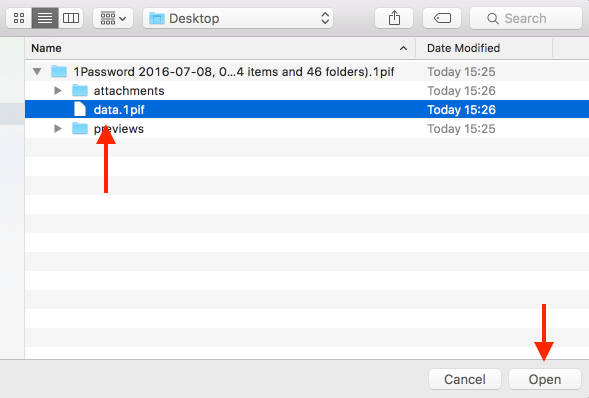 Do not forget to delete the unsecured file that you exported from 1Password when you are done, as it contains your passwords in clear text.